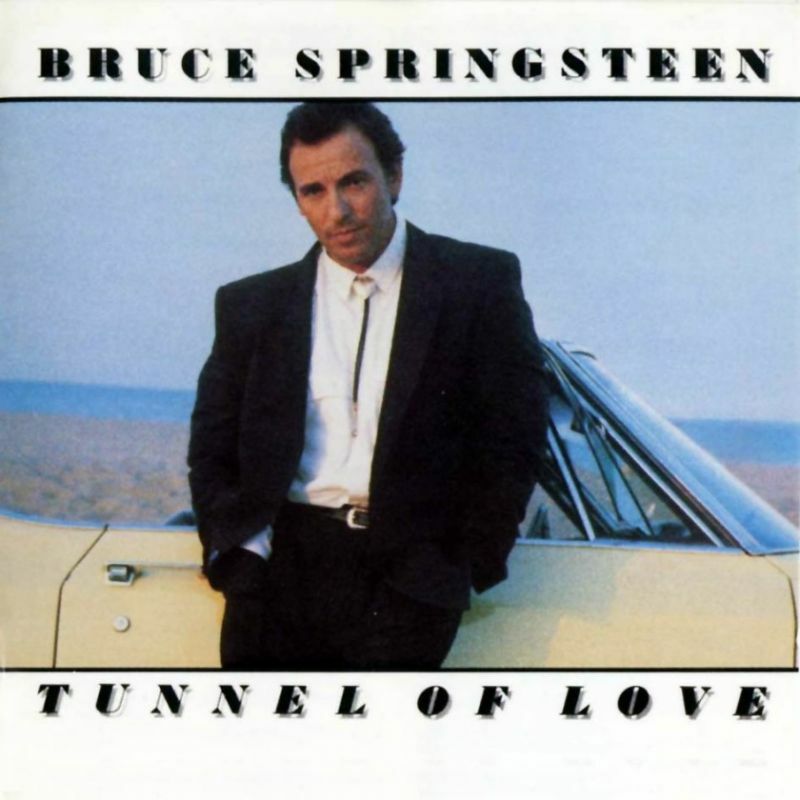 I think Darkness on the edge of town is Springsteen’s best album, but I think Tunnel of Love is his most overlooked record. This is a quiet, often acoustic country-tinged album that has become more important to me the older I get. It might sound less than Springsteen than his earlier albums, and he really goes a long way towards country music, but that’s ok, I really like it. He released it while still touring with the E Street Band, but its sound signified a marked departure from the driving rock of his earlier albums. It’s a mix of Nebraska and Darkness with strong melodies and more melancholy. The Songs are about lost opportunities, misplaced love and regrets. It is a very sad album, maybe that is why Springsteen rarely play these songs in concert. He should play them, they are among his best. The sleeve notes to the record Springsteen writes “Thanks Julie”. Bruce Springsteen comes off as a tired man, is it his break-up record, his divorce album? It certainly sound like it. Great art sometimes comes from pain, and this album contains great art. His marriages are falling to pieces, both to his wife and to his band. He records this album at home, it is a true solo effort even if some E-Streeters dropped by to lend backing vocals or keyboard parts to certain tracks. It is also a “what’s the meaning of love?” record. Lyrically, Tunnel of Love showed us some of Springsteen’s sharpest writing to date.The songs have been covered a lot and these tunes prove especially attractive to musicians in the folk, country and singer-songwriter genre. You’ll be baffled by the number of country artists who took a crack at “Tougher than the Rest.” As I said it has songs about lost love and regrets and what’s more country than that? “Would they ever look so happy again the handsome groom and his bride?” Springsteen sings in Walk like a man. Bruce and Julie filed for divorce less than a year after the release of the album. As a teenager thirsting to escape your hometown and fantasising about meeting the girl of your dreams, the urgency and optimism of Born to Run, the murky realism of Darkness on the Edge of Town, heartland rock of The River and Born in The USA will probably appeal more to you than Tunnel of Love. I know they did to me. What a difference growing up make: today Tunnel of Love rings just as true to me as the albums mentioned above does. Bobby said he’d pull out Bobby stayed in/Janey had a baby it wasn’t any sin/They were set to marry on a summer day/Bobby got scared and he ran away. In the end, this is my favorite Bruce LP. I’m a sad person, basically, underneath. So sharing his sadness with me consoles me. I’m a keyboard dude, so I play these songs on “Tunnel of Love” by ear. I like “Born in the USA” almost as much. LONG LIVE BRUCE, younger than I, but only by one month! Top 3 in my book (along with Darkness & BTR). Thanks for the comment.